The wedding flower arrangements will always make the difference in a wedding reception and in the religious ceremony as well. 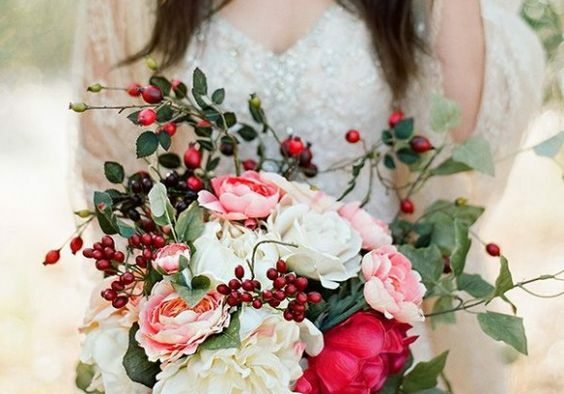 Even if we are speaking about the bridal bouquet or the centerpieces the bride and the groom should pay extreme attention to the elements they pick for the bridal day. 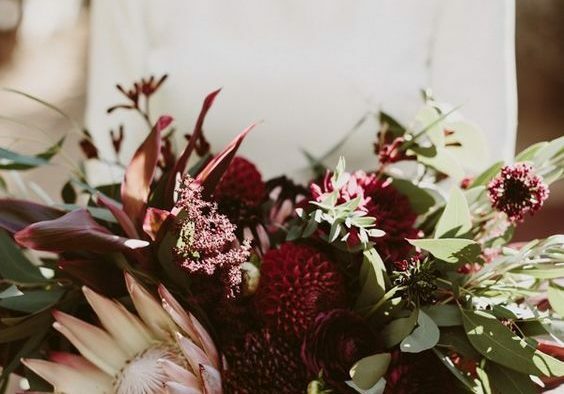 Nowadays you have to come up with something original, like introducing non floral elements in these arrangements – these ideas work pretty well when it comes to making a statement and being unique or original. Throughout the time we have suggested ordinary ideas and original ones, so that you can take only what seems to fits your personality and lifestyle better. Today we will focus only on the original aspects, in order that you obtain that dream wedding you have been dreaming for a long while now…. Don’t think of carrots or cucumbers, these aren’t the only vegetables that one can introduce in the bridal bouquet. It must have happened to observe kale plants, how their leaves look exactly like the petals of big flower blossoms. The kale is related to cabbage and its green leaves are the ones indicating this detail. 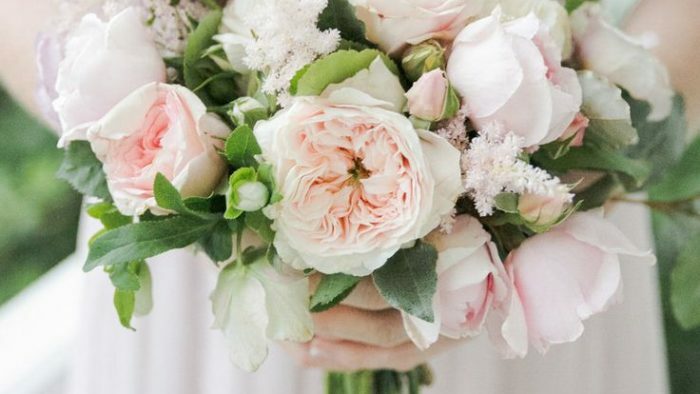 We are not suggesting to make a wedding flower bouquet that is made exclusively of these vegetables, but it’s certainly a great idea to place in the middle of the bridal bouquet such a plant in order to make the difference. This plant being green, you can combine it with success with orange, yellow or even white flowers and so, obtain this dream bridal bouquet. This may not sound as a great idea for some of you, considering it rather cheap. Believe us, as long as you know how to combine the flower blossoms with other plants and the appropriate colors, the final visual effect can be considered quite interesting. The jars can be made in small or large dimensions and you can place in these flowers like roses, daisies or even chrysanthemums with ferns or other such plants. You will definitely end up with an interesting centerpiece, which will be noticed by the ones sitting at the tables. The great thing about this type of wedding flower arrangement is that it can be realized handmade and so, you will end up with a really cheap centerpiece. 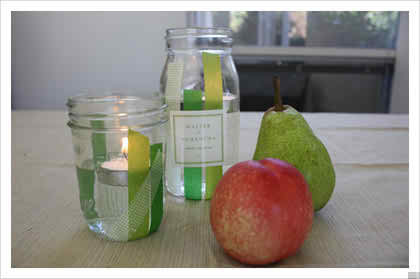 You only have to buy the jars, which are not that expensive and you can adorn them with different details if you wish, but you can leave them simple as well! 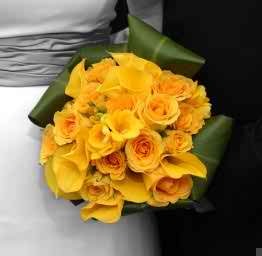 A touch of color in your wedding ceremony can be brought with the help of the wedding flower bouquet. 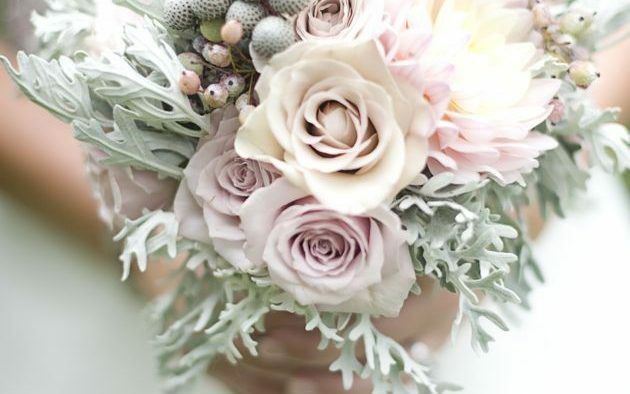 The situation is rather simple: think of a really strong color for this arrangement and ask the florist to make your accessory only of flowers in that particular tone. We were thinking of colors like indigo, deep purple, orange, deep red or even strong yellow! The great thing is that you can find numerous flowers that have the same tone. 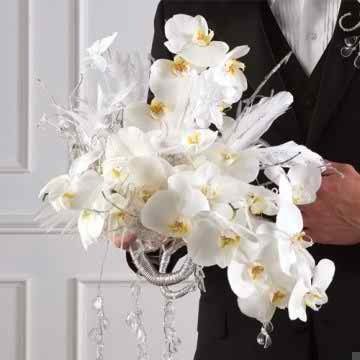 In our modern times the wedding flower bouquet can take numerous shapes and formats. It can be made like a purse, like a sphere or you can wear it like a bracelet. 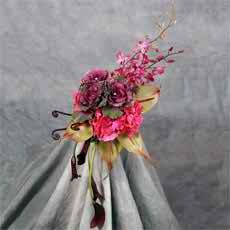 We are not referring to those well known corsages that the bridesmaids usually carry in the bridal day. This time, we would like to suggest a normal bracelet that has attached to it a flower arrangement that can be realized with numerous flowers and some leaves attached! 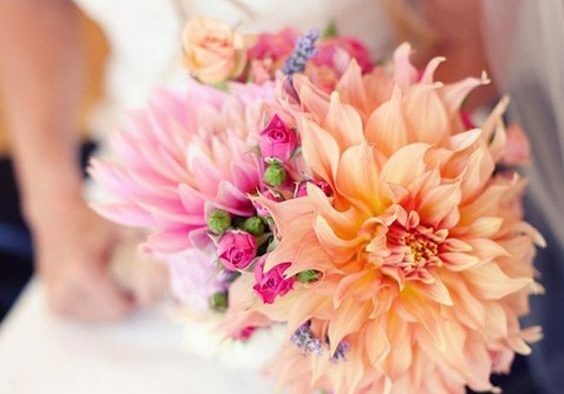 This type of wedding flower bouquet can be worn both by the bride and the bridesmaids – of course, you pick who is going to wear it, because if you are the bride you have to make a statement with the flower arrangement you carry. 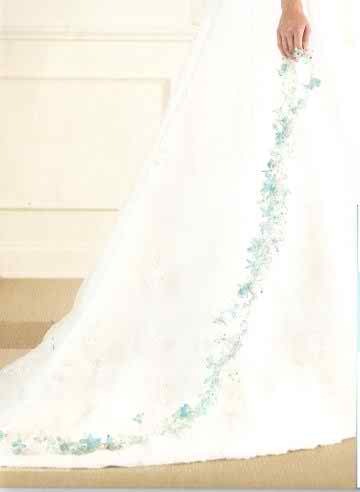 Of course, if you really want to make the difference, you can make this bridal bouquet of precious stones and really long in the same time so that you can wrap it around your hand. 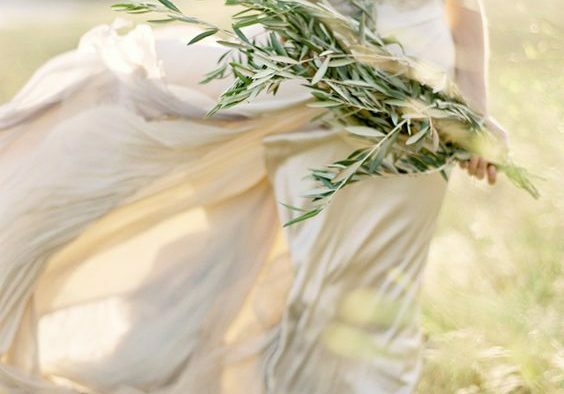 No matter if we are speaking of the bridal bouquets or the centerpieces, feathers seem to be really in trend in the last period, so you can insert them in both these “fields”. So, apply for big or small feathers, which you can place between the big flower blossoms in the bridal bouquet or the centerpieces that you have chosen. A great idea would be to adorn the chairs in the church with flowers and feathers if you intend on making the difference in this sumptuous place as well.